Each cap is specially fitted with an MSD Power Tower to accept the high voltage of an MSD Blaster Coil. 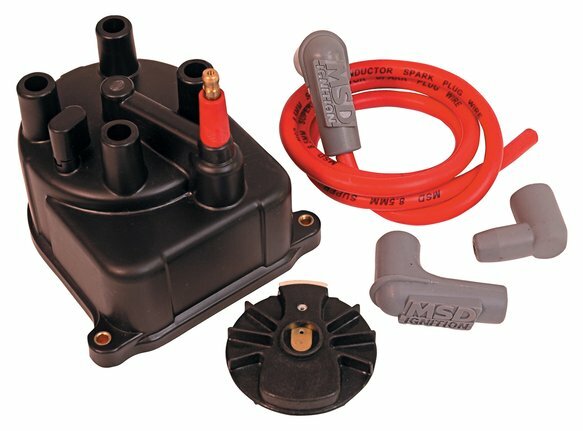 MSD's Honda and Acura Modified Distributor Kits are specially constructed to allow the use of a powerful external Blaster Series Coil. The spark plug socket features brass terminals for improved conductivity. A low resistance 8.5mm Super Conductor coil wire and crimp tool are supplied so you can custom fit the wire to your application. A new rotor is also supplied to finish off the new kit!